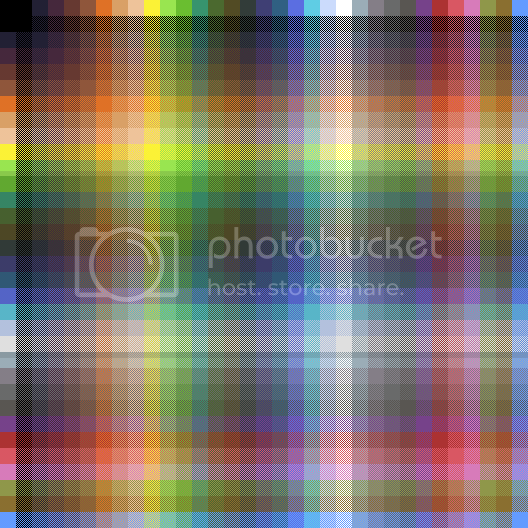 As somewhat of a follow-up to the http://www.pixeljoint.com/forum/forum_posts.asp?TID=12795 - DB16 Palette , I here present a 32 color big-brother; the DB32. 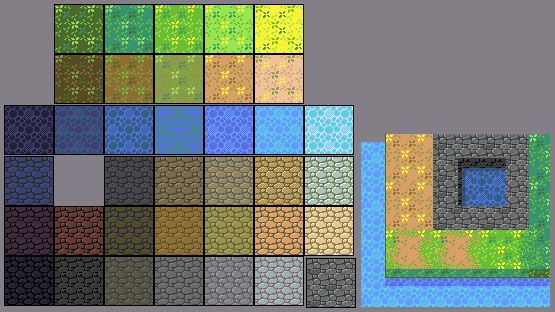 Again, this is a palette that tries to be as multi-purpose as possible, but with a clear slant towards archetypical game graphics & pixelart. 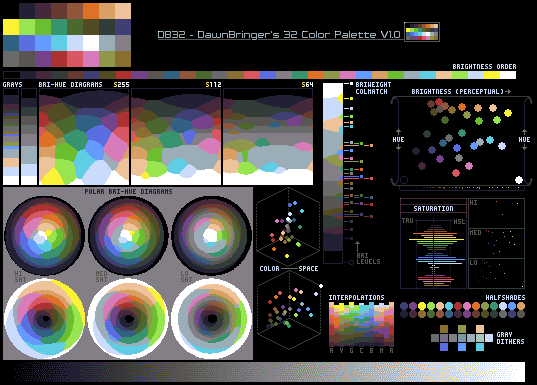 I have been working on a 32c pal since the DB16, but 32 colors is far more complex than 16 when you try to make all things work optimally together. Then when http://www.pixeljoint.com/p/9092.htm - Hapiel of PJ accidentally asked if I could help out with a 32 color palette for the http://www.pixeljoint.com/forum/forum_posts.asp?TID=16248&PN=1 - Open Pixel Platformer Project , it was a good incentive to wrap this one up.